This morning we released a BETA version of the mobile version of the site. NOTE: we're not talking about a mobile APP, just how the web site looks on small mobile devices. This is a BETA release, so don't expect it to be perfect. Using it is totally optional. 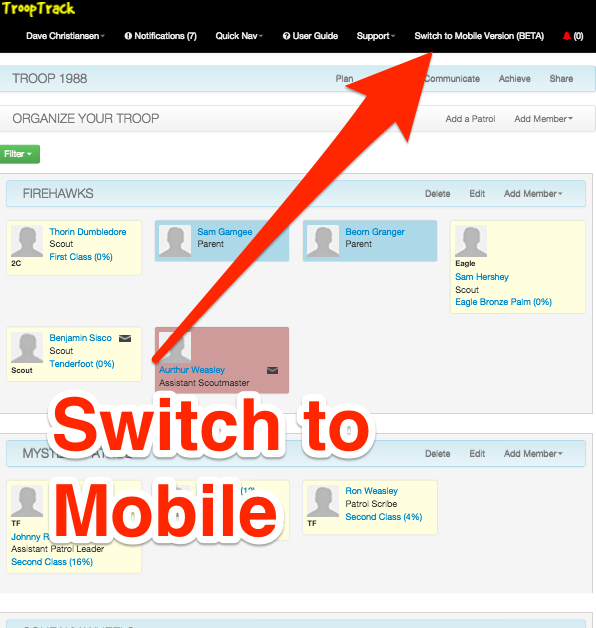 If you log in to TroopTrack on a phone, you will see a "Switch to Mobile Version" link in the top header. You can switch back to the full site at any time. I've worked through most of the screens and gotten rid of the need to pan & pinch in most places. 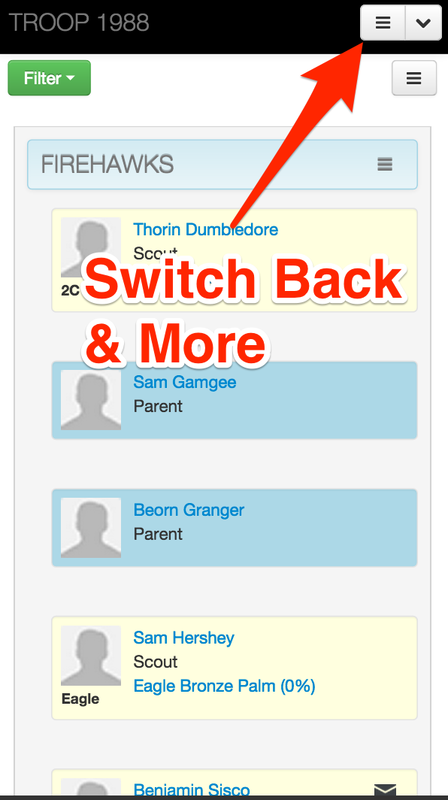 I'm still working through screens on the achieve and share menus though. At this point I'm not looking for feedback about needing to pan & pinch. We'll get there soon, but for now what I'm mostly interested in is stuff that just doesn't work at all on a mobile device, such as menus that you can't access, etc. Thanks to everyone who discussed this feature yesterday. It really helped me figure out the best way to run this beta test. I've included screenshots showing how to switch versions.